Tonozawa Ichinoyu Shinkan is located 5 to 6 minutes’ walk from Tonozawa Station which is one stop away from Hakone Yumoto Station often called the entrance to Hakone. At this inn surrounded by greenery and mountains you can enjoy their hot spring full of alkaline minerals in an outdoor bath attached to your room. This time we take a tour of Tonozawa Ichinoyu Shinkan which is located perfectly to be a base for Hakone sightseeing. Sekinetozan Railways Tonozawa Station is an unmanned train station tucked in between tunnels. The Zeniarai Benzaiten Shrine next to the station is well known as a power spot, and has a high ranking god called Seoritsuhime which is an incarnation of a white snake which will wash away your sins in a river and send them out to sea. It is only a few hundred meters to the inn. With the aroma of nature filling the air a short walk up and down some stairs and you arrive. If you are going to arrive after dark then head to Hakone Yumoto Station and grab a cab from there. It is only a 3 minute ride. There are no convenience stores around the inn so if you need anything buy before going there. For details on how to get to Tonozawa Ichinoyu Shinkan check the link below. 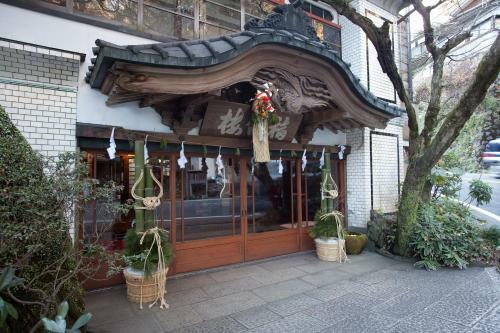 Currently there are 8 inns in the Hakone area run by the Ichinoyu group, (Tonozawa, Sengokuhara, Ashinoko Lake, Goura and others) with their motto of “Low priced, easy, and convenient”. 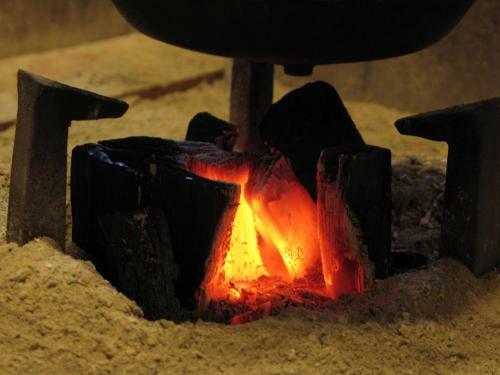 The Ichinoyu Group was started in 1630 and has a long history. The original land is still occupied by Tonozawa Ichinoyu Honkan which exudes an air of Japanese tradition. Tonozawa Ichinoyu Shinkan was opened in 2005. The building is 3 stories and doesn’t have an elevator but the stained glass and paintings decorating the interior make the stairs almost a pleasurable affair. 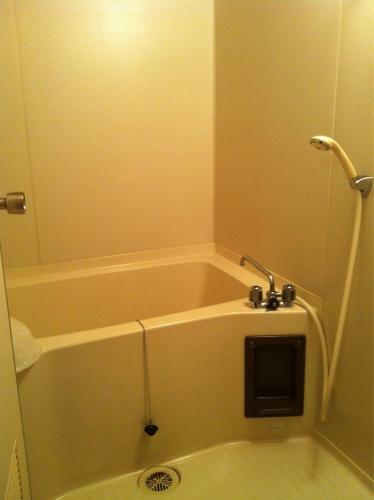 All 20 rooms are Japanese style and 15 of them have a private outdoor bath attached to them. Mainly each room is meant to have 2 guests stay but there are single person rooms available as well. Pictured above is the Twin Japanese room with low beds and a kotatsu table. For more details on the room types please check the link below. An outdoor bath fed straight from the hot spring source on the balcony! On the balcony is the outdoor bath which is fed by unadulterated hot spring water. If you open the window the sounds of the splashing water echoes nicely. It is a real luxury to be able to bathe in fresh untainted hot spring water when you want however many times you want. The water type is basic alkaline with a pH of 9.1. It is most effective in beautifying skin, as well as nerve pain, muscle aches, joint aches, shoulder pains, and sensitivity to cold, and is enjoyable by children to elderly alike. There is also an indoor bath as well as an outdoor bath with mosaic tiles and stained glass windows in the building. The price varies with room type and season, please check the memo section below for more details. Meals are served at the high ceilinged first floor restaurant. The basic dinner menu consists of a main dish of brand name Japanese pork in Shabushabu. There is also boiled tofu, grilled scallops with vegetables and a small appetizer along with a dessert. They also have different plans like the Plus Plan or the Gourmet Plan which is also recommended. The breakfast (pictured above) is a well-balanced healthy Japanese meal. The freshly grilled dried fish is especially delicious! The hot spring egg and the miso soup are not to be scoffed at though either. The menu changes according to season so please check the memo section below for more details. So, what do you think about the reasonably priced Tonozawa Ichinoyu Shinkan? With the great location of Tonozawa it is easy to plan the rest of your trip activities as well. For a base to see the sights in Hakone and really relax without breaking the bank on a trip with the family, as a couple, or even by yourself, head to Tonozawa Ichinoyu Shinkan.